Klaus Zellmer, CEO of Porsche Cars North America, who is at work on a grand plan to transform customer experience inside Porsche dealerships, will speak Jan. 17 at the Automotive News World Congress. Zellmer moved into the job in November 2015, but he had a transformative effect on the brand's U.S. footprint years before. Nearly 20 years ago, shortly after joining Porsche in Germany, Zellmer was asked to lead a project to come up with a uniform design standard for dealerships. The winning look is now a familiar sight to Porsche consumers around the globe. U.S. stores began converting to the curved metal-and-glass facade just after the turn of the century. Now, under Zellmer, Porsche's U.S. operation is piloting a global initiative aimed at making the Porsche customer experience rival that of all luxury brands — nonautomotive included. Before joining Porsche Cars North America, Zellmer was head of overseas and emerging markets for Porsche. In this role, he was responsible for subsidiaries in Australia, Japan and Korea and Porsche's regional offices in Asia-Pacific, South America, the Middle East and Africa. 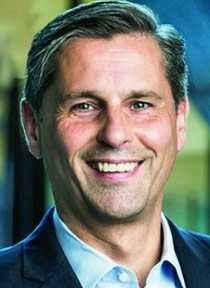 From 2010 until early 2015, he was CEO of Porsche Germany.